Nintendo's massive handheld is about to get even larger. Hot on the heels of Nintendo's announcement of the redesigned 3DS XL last week, a Q&A article in Famitsu has revealed that the console will be given dual analog support, with an updated edition of the official Circle Pad Pro accessory. The article doesn't go into any specifics about the actual dimensions of the add-on, but if the equivalent accessory for the 3DS is anything to go by, we can expect it to add at least another inch or two to the width of the device. 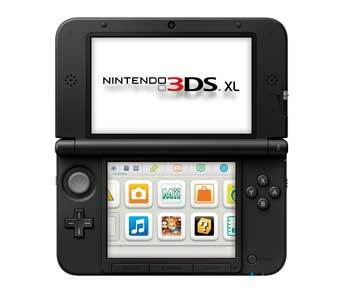 Nintendo did, however, divulge a couple of further details about the 3DS XL. Much like with the regular 3DS, data and downloaded software will be fully transferable between the 3DS and the 3DS XL. The new console will also be compatible with the 3DS stand which came bundled with Kid Icarus: Uprising. Despite the XL being much larger than its predecessor, Nintendo decided against integrating a second thumbstick into the console itself. While the eventual addition of this extra stick will likely come as a surprise to few, its appearance as a separate accessory implies that Nintendo very much wants customers to see the new addition not as an outright upgrade from the 3DS, rather as just an upscaling of what's already there.